Social protection systems can help States in complying with their obligations regarding the right to health included under several human rights treaties (such as Article 12 of the International Covenant on Economic, Social and Cultural Rights). “guarantee that health systems are established to provide adequate access to health services for all. In cases in which the health system foresees private or mixed plans, such plans should be affordable, in conformity with the essential elements enunciated in the present general comment. The Committee notes the particular importance of the right to social security in the context of endemic diseases such as HIV/AIDS, tuberculosis and malaria, and the need to provide access to preventive and curative measures.” (General Comment No. 19, para 13). Recommendation No. 202 includes, as one of the basic social security guarantees constituting the social protection floor, “access to a nationally defined sets of goods and services, constituting essential health care, including maternity care, that meets the criteria of availability, accessibility, acceptability and quality” (para 5a). It further sets out that this guarantee should be defined in a way that “persons in need of health care should not face hardship and an increased risk of poverty due to the financial consequences of accessing essential care”. 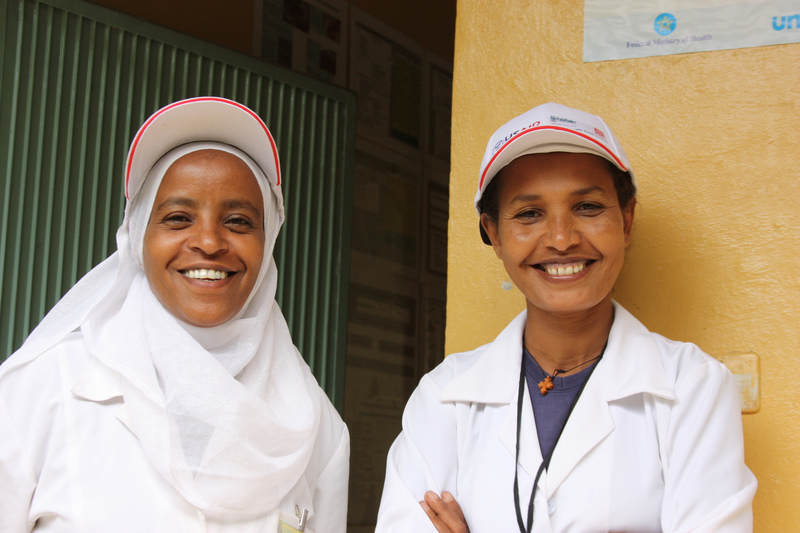 Photo credit: “Health officers at a health center in the SNNP Region of Ethiopia” by USAID U.S. Agency for International Development (CCBY 2.0 via Flickr).